The Auxiliary is a group of citizen volunteers concerned with boating safety. The organization's main goal is to increase boating safety by educating the public and by conducting safety patrols in areas where recreational boating is prevalent. These safety patrols are conducted by Auxiliary members in boats and airplanes that they own themselves. The U.S. Coast Guard is a small organization with a very small budget. They do not have enough personnel, boats, and airplanes to patrol the busy coastal waters on weekends when thousands of recreational boaters are out enjoying the day. Because the auxiliarists own their own boats and airplanes, the Coast Guard simply reimburses the auxiliarists for their fuel expenses, and the public is served by volunteers at a fraction of the cost of the professionals. On occasions such as Tall Ships festivals, sailing and rowing regattas, OpSail 2000, etc., the active-duty Coast Guard and the Auxiliarists work together as "team Coast Guard" to provide safety and security. If you have questions about joining or becoming a pilot, check my page of information on becoming a pilot. If I can be of help, get in touch with me by email or at 203-698-2600. Coast Guard Auxiliary national web site - Information about the organization. District 1SR The page about the area that includes CT, NJ, and the southern half of New York State. District 1SR aviation page Aviation in the New York / Connecticut / New Jersey area. 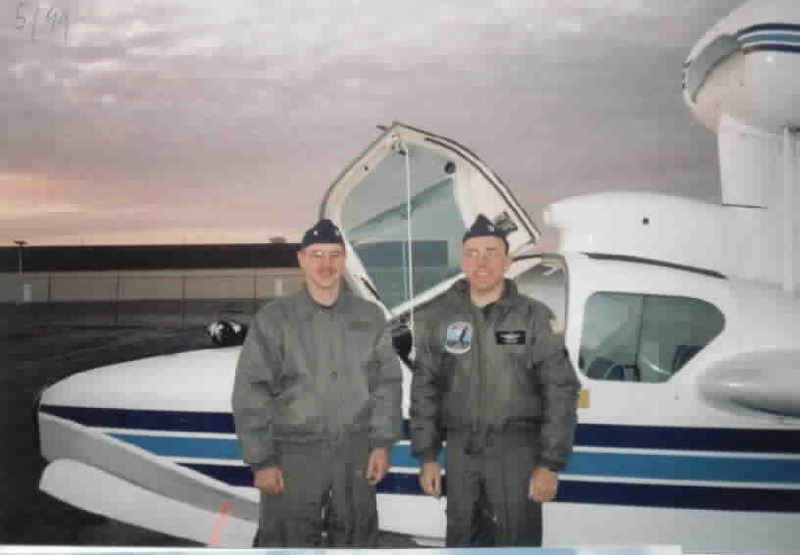 Becoming a Coast Guard Auxiliary pilot How a private pilot can become a Coast Guard Auxiliary pilot - the District's step-by-step list. Also see My how-to list. If you are interested in joining, call 1-800-368-5647 (be sure to explain that you want information on the Auxiliary, not on the full-time Coast Guard! ), or use the Auxiliary's national web site to find a unit near you. On the side of my plane you can see the Coast Guard Facility emblem. 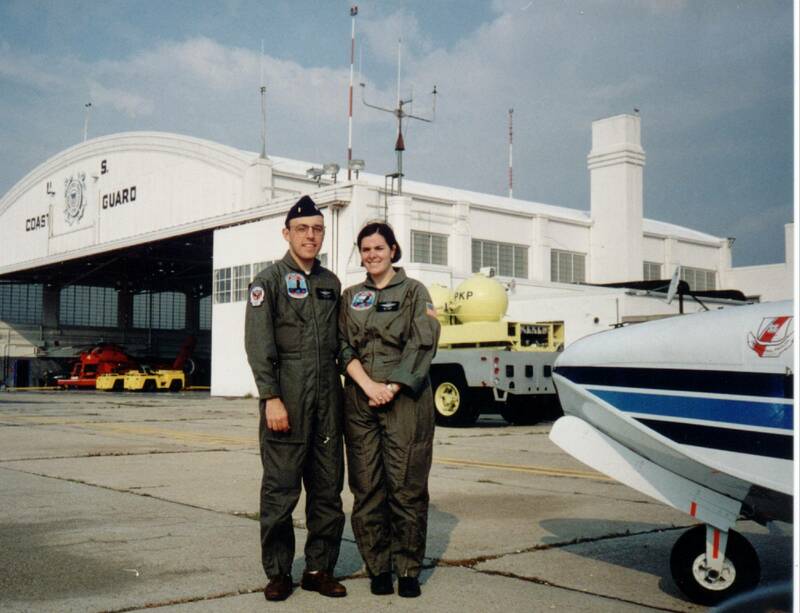 At the time we wore the D1SR Aviation emblem on the right chest; nowadays we wear a Coast Guard Auxiliary patch instead.